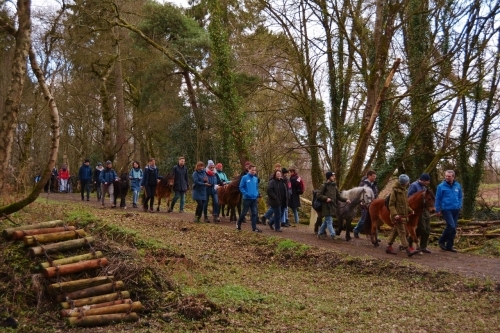 Recently, a walk took place in Lullymore Heritage Centre. 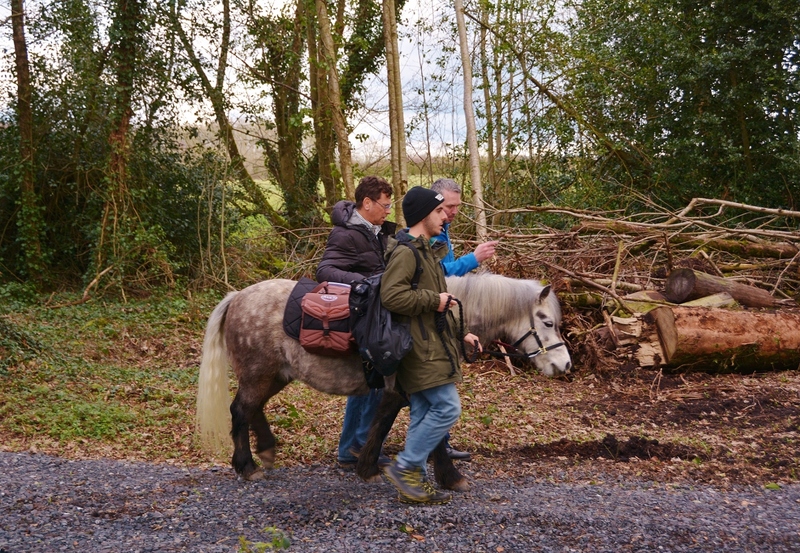 It wasn't exactly your ususal afternoon stroll! 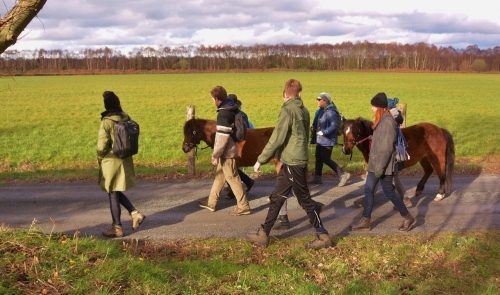 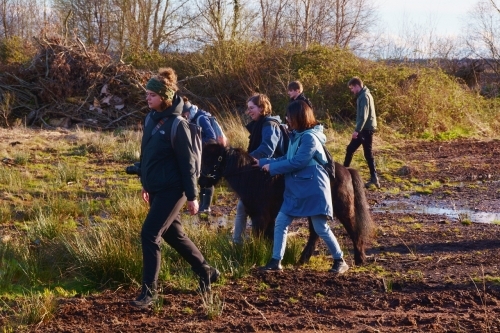 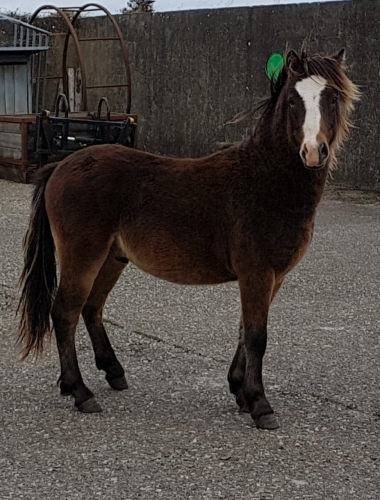 A group of architectural students from a Swiss university chose to organise a walk with Kerry Bog Ponies, where they could interact with ponies and experience Ireland's boglands. 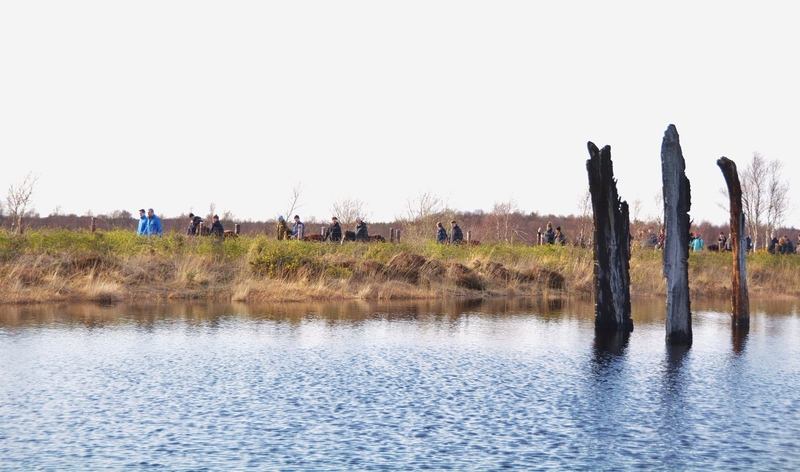 Following a very informative tour of the Heritage centre, which covered the background and history of Ireland's peat bogs, the students then joined up with a group of 10 Kerry Bog Ponies for a walk around the centre through old woodlands, alongside traditionally worked turfbanks and commercially worked boglands. 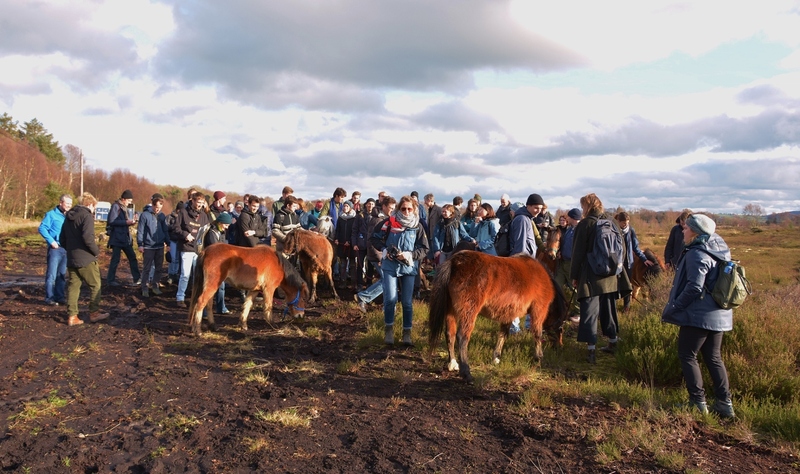 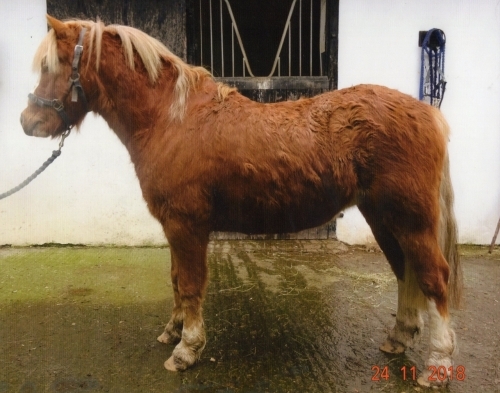 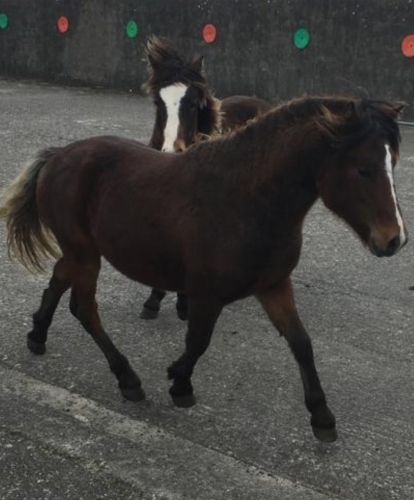 Although not experienced with ponies - or perhaps because of it, the students took great enjoyment from leading and interacting with their Kerry Bog ponies, who all behaved beautifully. Almost everyone took a go at leading a pony themselves. 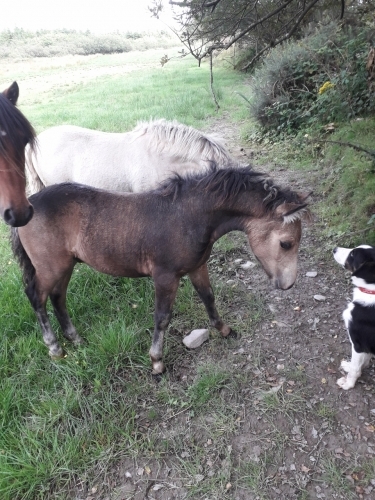 They were interested in the ponies and asked about their names, their ages and what they else they did, when they were not walking with people. 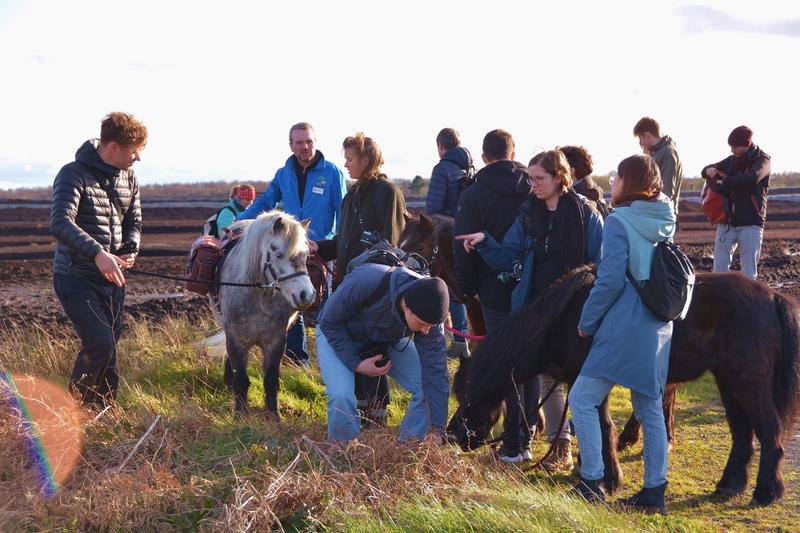 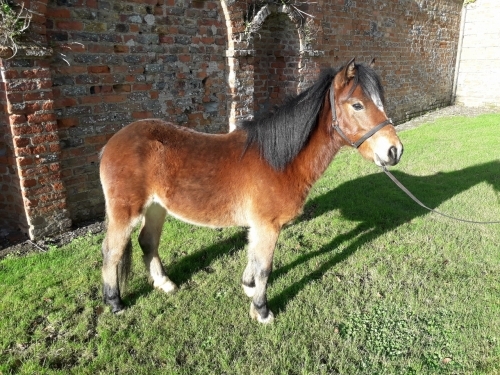 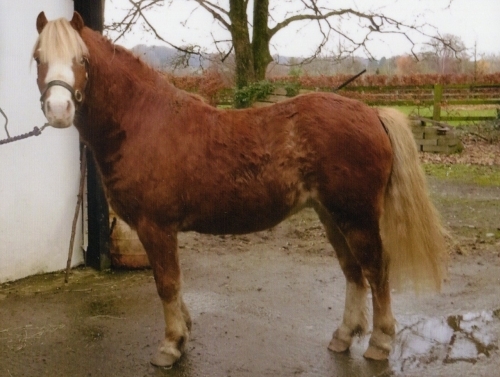 The visitors were all suprised that the ponies were not usually used for walking experiences, as this is something that is done a lot in Europe. 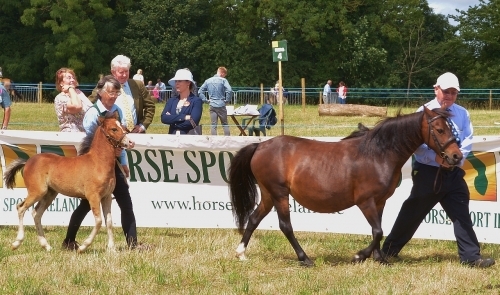 Perhaps this is another market for future use of ponies! 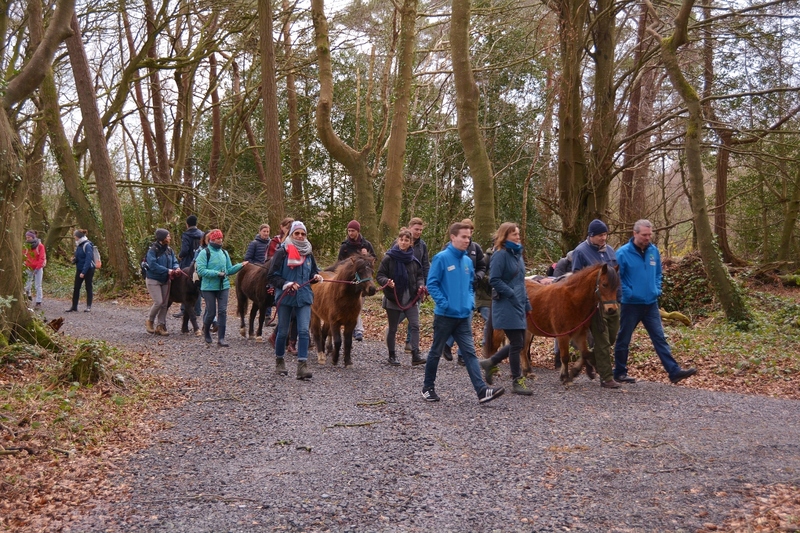 It was certainly a great day out and our thanks go to Lullymore Heritage Centre who made this such an enjoyable day for our visitors.